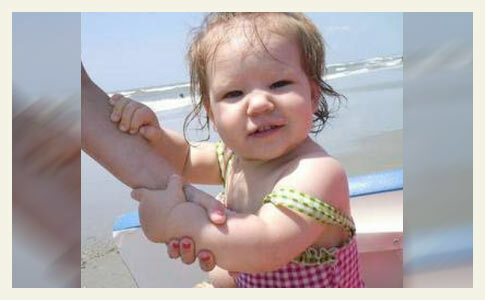 Addison Sonney, 14-months old, was attacked and killed by her family's dog. Erie, PA - A 1-year-old girl has died after being attacked by her family dog. The Allegheny County medical examiner said Addison Sonney died yesterday at Children's Hospital of Pittsburgh. The girl's mother, Kari Sonney, was treated at a hospital for injuries suffered trying to save Addison. Police followed the dog into a nearby neighborhood and shot and killed it. The attack happened yesterday at the Laurel Hill Cemetery in Millcreek. The child's father is the cemetery caretaker. The dog fled after the vicious attack. Millcreek police had to hunt the dog down with guns drawn. At first through dense thicket at the corner of Love and Zimmerly roads, where they shot it five times. The dog continued to flee, reports the Erie Times News, eventually into a wealthy nearby subdivision. Officers told children and people outside on the Sunday morning to go inside their home. The dog eventually took refuge on a porch on Cristina Drive, where police shot and killed it. The dog, which police said was an old English sheepdog mix, was tracked down and shot dead by Millcreek officers. Samples of the dog's remains have been sent to the state Department of Agriculture for rabies testing. Those results are expected today. Addison was attacked at her family's home, the Laurel Hill Cemetery caretaker's cottage, 4523 Love Road, just after 10 a.m. Thursday. Her father, Brady Sonney, is the grounds supervisor at Laurel Hill, and the family lives in the cottage. Addison's mother, Kari Sonney, also was injured in the attack. She was treated at Hamot Medical Center and released. "She was trying to protect her daughter," Millcreek police Lt. Michael Tesore said of Kari Sonney. Sheep Dog Mix, Mixed with what? The article did not say. More information may come out in the future. This dog looked more like lab mix to me.